The PADI Discover Scuba Diving or DSD program, represents the first step of the diving education. After a theoretical session, the program takes you to shallow water where you practice some. Once you master these, we take you to the open water where you can apply immediately what you have learned and you can discover the beauty of the marine life. 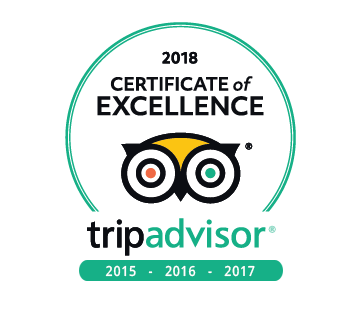 At the end of your experience you’ll receive a recognition certificate which is valid for 12 months if you are planning to continue on to the PADI SCUBA DIVER or PADI OPEN WATER DIVER levels. 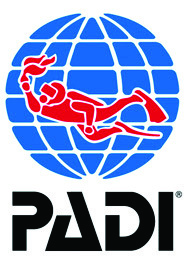 The PADI Scuba Diver is the pre-entry level certification before the Open Water Diver course. This course delivers the first international licence, valid all over the world, without an expiration date, to dive up to 12 meters depth. The Scuba Diver is the pre-entry level certification before the Open Water Diver course, it allows you to complete the course in a short time. With the PADI Scuba Diver, you will be able to dive in your next holiday, under the supervision of a professional dive guide. During the course you will learn the basics of scuba diving, including the scuba equipment and the techniques used in scuba diving. You will do some theory in the classroom with an instructor that will teach you, you will get wet in the sea with a PADI professional making you feel comfortable and learn some skills, and you will dive two times in open water. At the end of the curse you will get a formal certification recognized worldwide. The PADI Open Water Diver or OWD is the first level in the PADI system that allows you once certified to dive independently, At the end of the course you will receive a licence without date of expiration, valid all over the world, to dive up to a maximum depth of 18 meters. (5 sessions of theory – 5 sessions in the shallow water in the sea – 4 dives in the sea). It is the first level in the PADI system that allows you once certified to dive independently. During this course the instructor will teach you the basics for scuba diving. Already after your shallow water dives and especially the open water dives, you will feel the excitement to dive is growing. Under the supervision of a PADI professional you will go and explore the underwater world. After you have completed the PADI Open Water course, your diving options have just begun. You now have the possibility to enrol in different PADI specialties. Adventure Diver and Advanced Open Water Diver entitles you to take part in more adventures in diving, new possibilities and deeper limits. This course is the logical follow up for the PADI Open Water Diver course. You will learn a more advanced way of diving and you will try new dive experiences, in fact you will do new types of dives, like a wreck dive, deep dive or a night dive. You will need to do 5 Adventure dives of which two Adventure dives are mandatory: Deep Dive and Navigation. The other 3 are free to choose from a list of options. 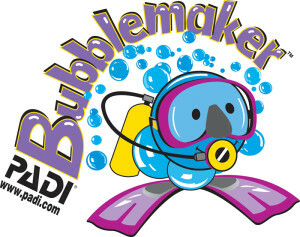 The PADI Bubblemaker is a great way to introduce children to scuba diving in the sea in less than 2 meter of water. Celebrate a birthday by throwing a memorable, exciting Bubblemaker party with friends and family at our PADI dive center. It’s fun, easy and safe. Youngsters can join in the family fun of scuba diving or even start a trend! Children should be comfortable in the shallow water, but they don’t have to be super swimmers. With youngsters in mind, the maximum depth is only 2 meters. The PADI Deep Diver course gives you the right training to dive to a depth 40 meters and to see things that others can only dream about, a deeper wreck, the bottom of a reef or dive along a nice drop off. The course contains 4 training dives. With this course you will experience breath taking dives that will take you deeper than 18 metres. Down there everything is different and it calls for extra training. You can do it here! Within the PADI Enriched AIr Nitrox Course you discover all there is to know to dive with oxygen enriched gasses allowing to extend your bottom time. A must if you are planning intensive diving such as during a liveaboard. The PADI course Enriched Air or Nitrox Diver will allow you longer bottom times within the safety zone. Basically it means you can spend longer time underwater with Enriched Air than with simple air, but in order to receive Nitrox tanks you have to have the PADI Nitrox Speciality card. If you are a photographer, a lover of wrecks or just simply on holiday in a tropical place, or maybe just up for a dive close to home, the PADI Enriched Air course will allow you to take full advantage of your dives. The mystery of a PADI Night Diver, it’s sunset and you are wearing your equipment, you put the mask on and you try out the regulator. A deep breath and you jump in at night. Even if you seen that dive site, now in the dark it is completely different in the beams of the torches. After you have completed the Night Diver course you are the boss of the adventure, you feel the emotions of the night dive. You will learn the planning for the night dive, entry and exit points, the underwater navigation, special equipment you must use for night dives and communication with torch at night . You will see new life that only comes out at night. You will need Night-Pack, where inside you will find the manual and video. The certification has credit towards the Master Scuba Diver. PADI Peak Performance Buoyancy, being fully under control under the surface. Excellent buoyancy control is what defines skilled scuba divers. You’ve seen them underwater. They glide effortlessly, use less air and ascend, descend or hover almost as if by thought. They more easily observe aquatic life without disturbing their surroundings. You can achieve this too. The PADI Peak Performance Buoyancy Specialty course improves the buoyancy skills you learned as a new diver and elevates them to the next level. In this course you will learn how to plan dives with longer bottom times, thanks to the slow nitrogen absorption when you are ascending to a shallower depth. And in realty that is what you do. Float without energy, flying with the current on the bottom. The ability to control the buoyancy underwater makes a good diver different from and excellent diver. In this course you will learn new swimming techniques that will make your dive easier and smooth. You will be able to swim along close to the reef without damaging it or you. The PADI Underwater Navigator course fine-tunes your observation skills and teaches you to more accurately use your compass underwater. If you like challenges with big rewards, take this course and have fun finding your way. You’ll be the diver everyone wants to follow because you know where you are and where you’re going. Prerequisites: Min. Age: 10 with a certification of at least (Junior) Open Water Diver. Thanks to the Wreck Diver course you will learn all the techniques, abilities, procedures and all the theory information you need to follow the call to the wreck. Slowly descent and cross the door to the past. As you make you descent slowly and you get closer everything will take shape, and then a ship forms right in front of your eyes. When you discover that is a wreck, past and present meet. Wrecks sink by accident and others sink intentionally, anyhow, if its a ship, and airplane or a car, the call from the wreck is always irresistible for a diver. For divers and non-divers, the PADI Emergency First Response course is a must-have! Prepare yourself to assist a person needing first aid assistance, including techniques required for the PADI Rescue Diver course. Using the international ILCOR standards on CPR and First Aid, the course will teach ways to assist victims in need of medical assistance, not only for scuba diving but also in every day life. The words that best describe the PADI Rescue Diver course are: challenge and gratification. This course will expand your knowledge and your experience level. The Rescue Diver will learn how to look at others and not only himself. Thinking of the health and safety of someone else. It’s a very intense course, but once it’s over you feel more confident.The Rescue Diver course will teach you, through scenarios of diving accidents, how to avoid and prevent most of the diving problems (co-ordinate and deal with diving emergencies, first aid, divers stress, panic, artificial respiration and exit techniques).Divers say that this is the best course in the PADI system.